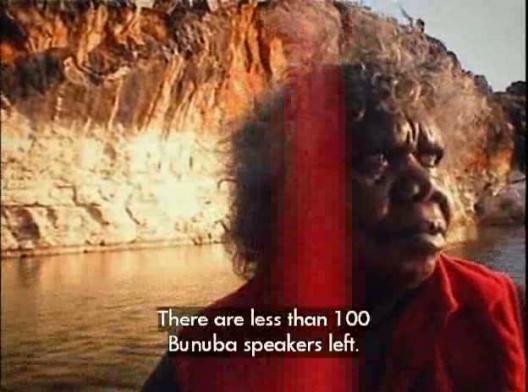 There are fewer than a hundred Bunuba speakers, most of whom are older people now living in Junjuwa, an Aboriginal community in Fitzroy Crossing. The Bunuba elders are concerned that the language is not being spoken by the younger people. In the past, stories were passed on by parents and grandparents, who told them to the children around campfires at night. This is one of the ways the Bunuba people have kept their history. It is only recently that the Bunuba language has been written down and a first major publication of Bunuba stories edited. Production: Discovery Channel, producer.United Nations, sponsor.